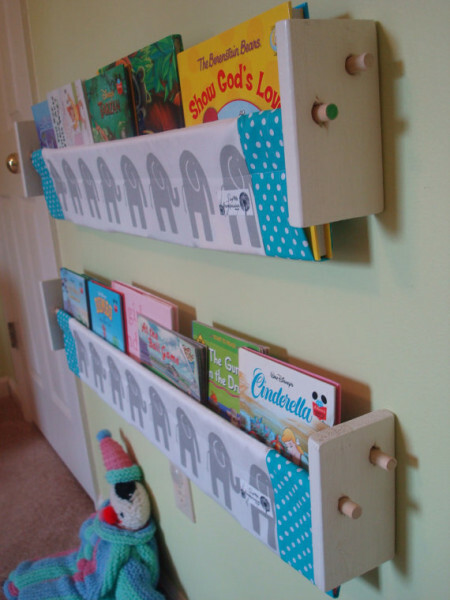 If, like me, you are on the lookout for a stylish book storage solution that both keeps your kids’ books off the floor and compliments your nursery decor, then look no further. Book Slings are the work of Jennifer from Etsy’s Shop With Compassion. She was looking for a book storage solution for her daughter’s nursery that didn’t take up floor space in the small room. 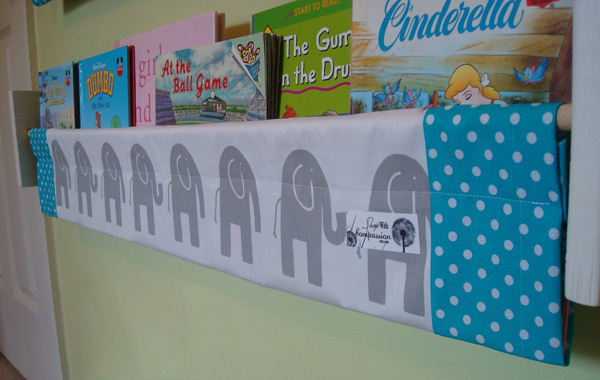 The Book Slings mount directly to the wall and book covers face outwards, making it possible even for very young children to locate their favourite book for story time. It’s an awesome product, but shopping at Shop With Compassion also means you are directly supporting Jennifer’s six sponsor children through Compassion International. Jennifer donates all her profits to Compassion, and plans to sponsor more children the more Book Slings she sells. Book Slings are lined for durability. Jennifer has a great variety of fabrics in her store and can make custom slings to match your decor perfectly. Wall mounts can be purchased separately, and you will need to source your own dowel or rod to hang the sling. Book slings are $32 for one or $58 for two plus postage to Australia.